Cannabis Based Breast Cancer Treatment Breakthrough? An Australian stock exchange listed company has reported positive results from its initial proof of concept study into the anti-cancer effects of its cannabis medicine. 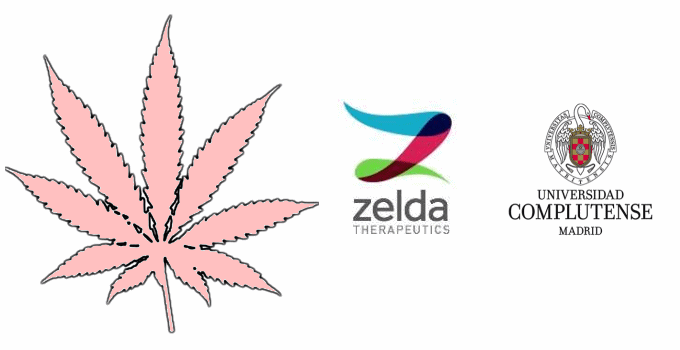 Zelda Therapeutics Ltd says its THC-based medical cannabis formulation was significantly more effective in reducing tumour growth than pure THC and more importantly, was as potent as Lapatanib. Lapatanib is a drug used in treating breast cancer and other solid tumours. It’s an expensive drug with a number of potential side effects. “We are very excited by the data generated in this preliminary study examining our cannabis extracts in well validated models of human breast cancer,” said Zelda Therapeutics‘ Executive Chairman Harry Karelis. The study was carried out on immune-deficient mice hosting tissue grafts of human breast cancer by researchers at Complutense University of Madrid. The study was led by Professor Cristina Sánchez and Professor Manuel Guzmán; pioneers in the study of the anti-cancer effects of cannabinoids. Buoyed by the result, Zelda is now continuing with further studies; including mechanism of action studies and testing other types of Zelda cannabinoids. Researchers will also test against other cancer cell lines, including those resistant to other treatments and triple-negative breast cancer (TNBC) cells. According to Breast Cancer Network Australia, dozens of Australian women are diagnosed with the condition each day. One in eight Australian women will be diagnosed with breast cancer by the time they turn 85. While predominantly affecting women, men can also fall victim to the cancer; although making up less than one percent of fatalities. An estimated 3,040 Australian women and 25 men lost their lives to breast cancer in 2015. Other studies have indicated cannabis could play an important role in treating this form of cancer. A January 2015 study published in the journal Molecular Oncology detailed how another cannabinoid, cannabidiol (CBD), interacts with triple-negative breast cancer; which usually needs to be treated with chemotherapy. That study’s conclusion advocated the use of CBD in breast cancer patients, particularly patients with aggressive and metastatic cancer cells such as occurs in TNBC. Next articleGreater Medical Cannabis Access For Ireland?